The Northern Territory Government launched a new whole-of-government website in April 2016. 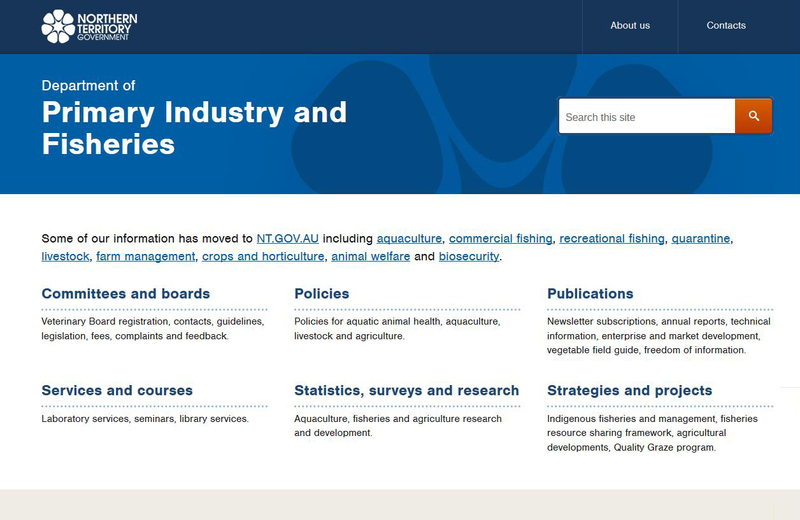 The nt.gov.au site merges previous department sites into one site, organised by content instead of corporate structure. 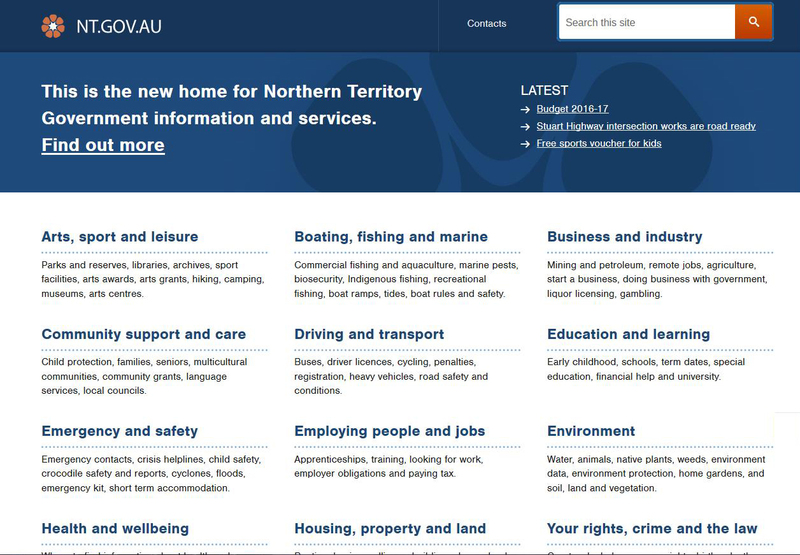 The new look for the NT Government website at nt.gov.au Information is easier to find and understand. Jam-packed with new features, the search function has been enhanced, the information is written in plain English and it is user friendly for mobile phones and tablets.